Last year I looked at links players for this given the wide open, coastal nature of the course in Sicily at the Verdura Golf Club. While that didn’t find the impossible to find Quiros (his form was terrible) it was certainly the right line of thought. The list of courses where the powerful Spaniard has won is basically a list of wide open links style courses, and I particularly noted Doha Golf Club where he has won and finished runner-up twice. The other winner around Verdura in 2012, Thorbjorn Olesen, generally wins on the same sort of courses. I’m taking that approach again while also maybe giving further consideration to some of the historically classy players in the field as per Quiros last year. The course here in Sicily is a Kyle Phillips design and big wide open fairways are very much his ethos as they can be seen on his other courses like Kingsbarns, Dundonald Links and PGA National in Sweden. He also tends to favour large greens and again they can be seen at Kingsbarns and Dundonald. A further example of some of his work can be seen on 9 holes of Celtic Manor where he was involved with the old Wentwood Hills course which went on to make up 1/2 of the Twenty Ten course. Given these strong features we tend to see Phillips course form stand up well so I’ve had a look through those leaderboards as well as other links courses. Gregory Bourdy has some decent form at Kyle Phillips designs despite actually being quite short and accurate off the tee. However he does have a good approach game and an excellent touch around the greens which also helps on these links style lay-outs. Bourdy’s last win was around Celtic Manor in 2013 and he has top 5s at several other links courses where form ties in. He was 4th last year at the Alfred Dunhill Links Championship (Olesen won in 2015), 5th in Qatar in 2015 and 4th at Lake Karrinyup in Perth in 2016, which is another course that Thorbjorn Olesen won around in 2014. His form hasn’t been anything great in 2018 but a player of his class looks a very big price at anything near to three figures in this field. Therefore the 125/1 is a must bet for me at a course that should suit part of his game at least. Tom Lewis has some nice pieces of historical links form and he has won at Oceanico Victoria in Portugal where Quiros has won. He hasn’t done much of any note on the main Tour lately but he stopped a run of missed cuts with a 9th place last time out on the Challenge Tour. If he found something with his game in Turkey then he could be a big price on a course like this where he finished 11th last year. Anthony Wall tends to go well on a lot of links courses and particularly on the same sort of ones as Alex Noren who is a bit of a Kyle Phillips expert. 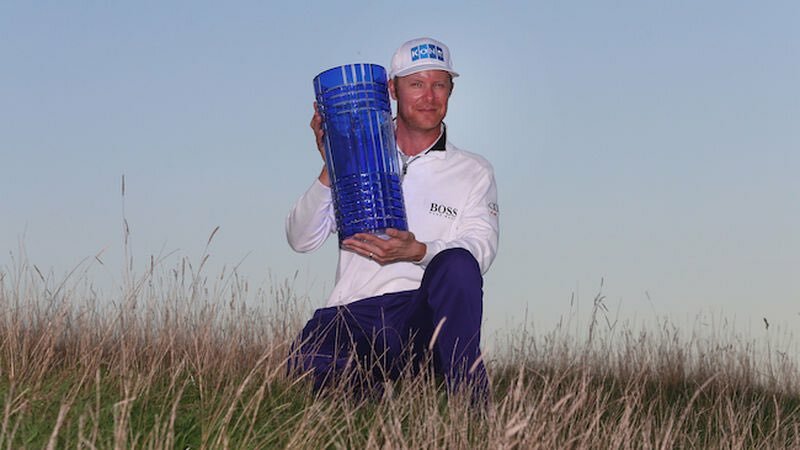 He was 4th at Dundonald Links last year and he won around Archerfield Links in the Paul Lawrie Match Play and that was another wide open links layout. Wall isn’t the sort of player who finds sustained periods of form and is more likely to pop up at layouts like this where his excellent short game can get him competitive in windy conditions. He withdrew from his last event in April but has had a couple of weeks off to recover and if he is fit he should go well on a course where he was 6th in 2012. My final pick is an old favourite in Joakim Lagergren. Throughout his relatively short European Tour career he has been seen at his best on open courses where his short game skills can be shown off. That is exactly what we have here and I don’t think he should be 50/1 in this field considering he was 3rd just a couple of starts ago in Morocco.